Created Friday, 21 March, 2014 . 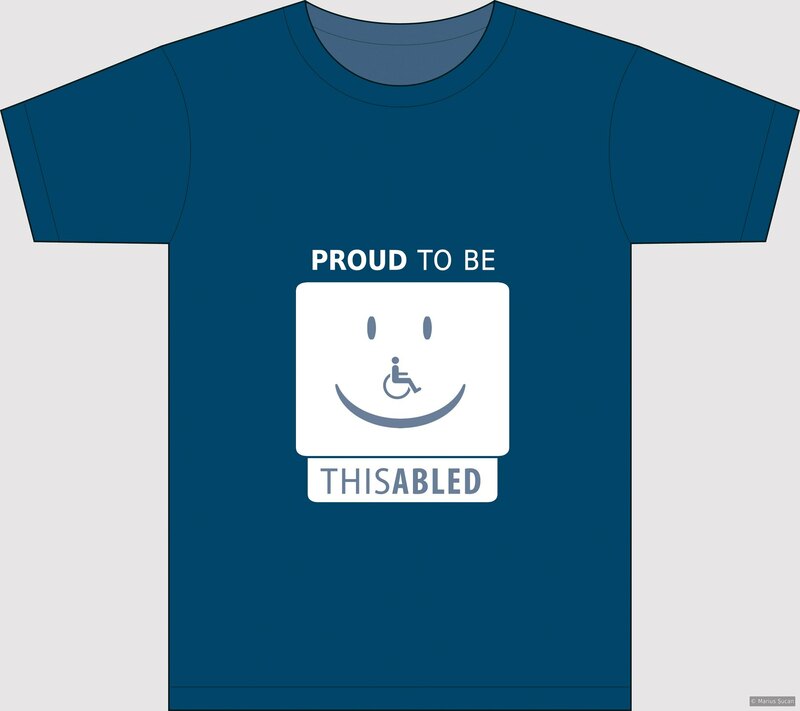 This t-shirt is inspired by open-minded and strong willed disabled people. Visually, it is inspired by an icon from the old operating system used on Macintosh PCs from the early 90s. Against expectations, many people with disabilities out there smile often and have reasons to do so. Being disabled should not be regarded as something catastrophic. Disabled people, with the right attitude towards life, can enjoy life as any of you. Like any non-disabled person, if they live in an accessible place, have a proper education, a job to suit them, and an active social life, there is no reason not to enjoy living. So, why would one not be proud to be thisabled? Unfortunately, many disabled people are disabled outside. Yet, some of them are enabled inside. Tags: 2014, 2d, design, disability, positive, t-shirts, wheelchair.